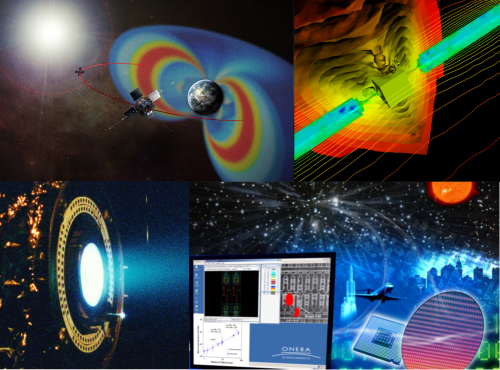 SpaceSuite provides a multi-physics software suite and a pool of expertise in order to model space environment effects on spacecrafts in the most efficient way and to help spacecraft conceivers preventing damages on spacecraft. SpaceSuite offers a consistent set of support through trainings, assistance contracts and advanced studies in each physical thematic but also in a multi-physics approach. SpaceSuite tools are mainly issued from scientific models validated and maintained by the historical ONERA/Artenum team of experts. Request our Detailed Offer and Pricing (DOP). Trainings are offered to discover our products but also optimize their use. Assistance contracts make sure you benefit from our experts analysis and skills in order to assist you in your use of our products. SpaceSuite offers access to exclusive space environment tools as well as improved versions of most known open-sources tools. Those tools can be used either separatly or in a multi-physical approach. SpaceSuite gathers an international team of experts on the various domains of space environment. We can analyse your specific requests and perform on-demand advanced studies.